Learning How To Tell Time is Made Easy with our Videos, Games and Worksheets. In second grade students learn how to tell and write time from analog clocks. Our teaching resources provide a fun way in which the kids can learn how to not only tell time (which they might know already) but how to work with time problems. One example is if you need to be home by 2:30pm and it takes 5 minutes to get home then you need to know what time you should leave. There are numerous problems you can use with time. 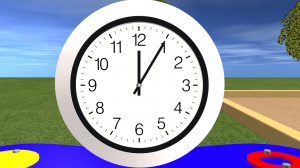 We are developing worksheets and games that will accompany the videos for this lesson on telling time. Please check out all our fun videos and sign up today for the free 14 day trial.